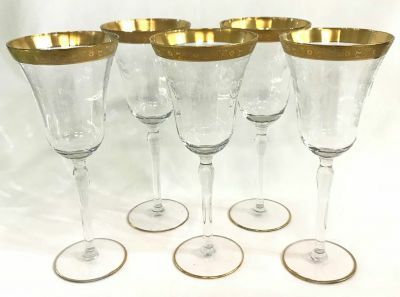 Set of acid etched gold rimmed wine glasses. 8 1/2” high, 3 1/2” diameter at the top. $1100 for the set of 12. Used in the film Polar.